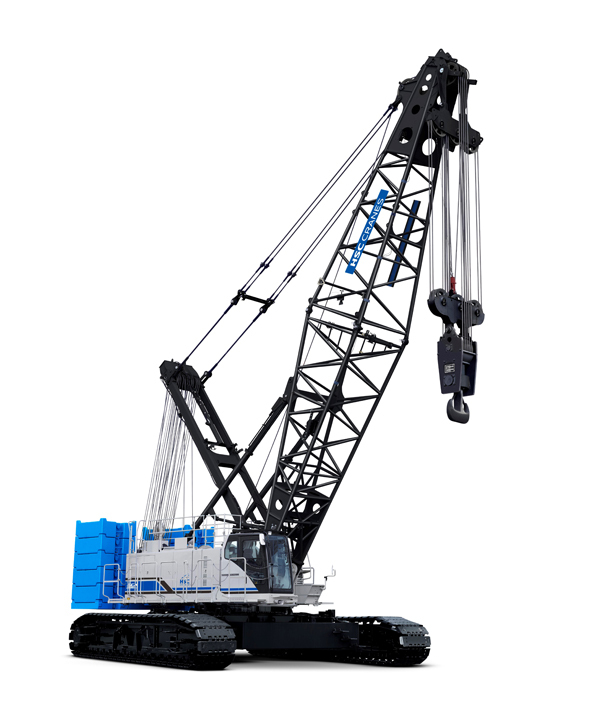 Sumitomo Heavy Industries Construction Cranes (HSC) has launched the 275t lifting capacity SCX2800A-3 hydraulic crawler crane. The SCX2800A-3 is developed based on the concept of ‘SCX-3 series’ and has a maximum boom length of 91.45m. It is equipped with a Cummins QSL9 engine that meets EU stage IV and US Tier4 final exhaust emission regulations. HSC said that the Urea SCR system featured on exhaust gas treatment device makes maintenance easy. “Auto idle function and ECO winch mode also contributes to energy-efficient operation,” the manufacturer said. The new model is equipped with a 13.5t-rated line pull winch for powerful hoisting. HSC offers as optional 1,260mm-track shoes and reduced counterweight rating charts. “Safety has been covered in almost every conceivable way, with the use of a swing restriction device and swing brake pedal, while reputable functions such as warning alarm and auto drum lock remain installed as standard. The large display panel includes all required information at a glance, easy-to-view layout without disturbing operator’s forward visibility,” the manufacturer said. Machine operating condition can be monitored precisely by remote sensing installed as standard. “By ensuring preventative maintenance, planned maintenance could be easy and it contributes to improve operating efficiency,” HSC added.